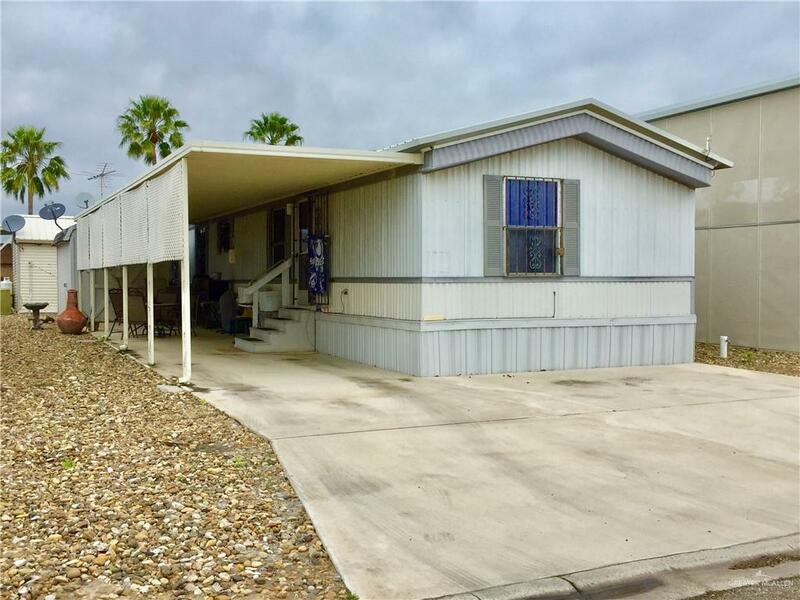 This charming 3 bedroom, 2 bathrooms mobile home is located in a 55+ golfing community in Mission. 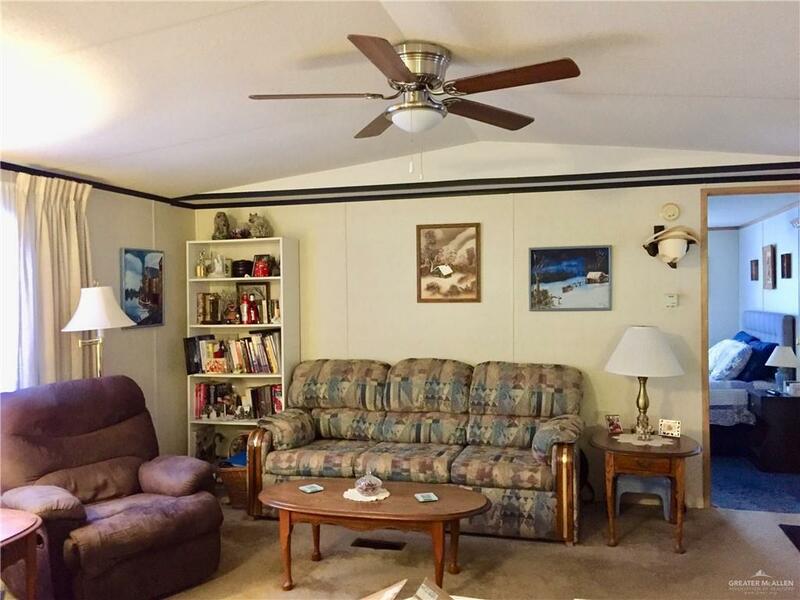 Open and spacious living & dining rooms. Eat-in kitchen. The bedrooms are generous in size with plenty of closet space. Guest bathroom has a tub/shower combo. Master suite has a tub/shower combo and single vanity. Home comes partially furnished. Large covered patio area perfect for entertaining family and friends. Property provides storage/workshop shed. Low maintenance rock-yard. 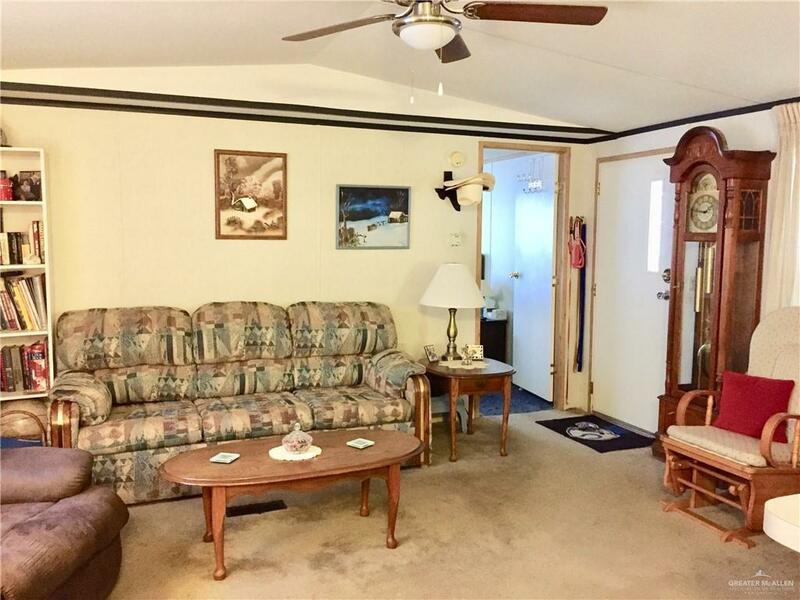 Property is located conveniently near the club house. Come enjoy all that this community has to offer: Swimming pool, Shuffleboard, billiards, dance hall, exercise room, Jam sessions, Cribbage and much more! Community Amenities Certified 55+ Community Curb & Gutter Golf Available Pool Privileges Property Owners' Assoc. Listing by Heather Escobedo of Encore Fine Properties. IDX information is provided exclusively for consumers' personal, non-commercial use and may not be used for any purpose other than to identify prospective properties consumers may be interested in purchasing. Data is deemed reliable but is not guaranteed accurate by the MLS or HSRGV Group. Data last updated: 2019-04-22T10:16:27.677.